Around the beginning of the twentieth century archaeologists believed that Norway was not inhabited until the Late Stone Age. In 1909 two pieces of flint, found by the school-teacher Anders Nummedal, launched an extensive debate about the prehistory of Norway, which in time led to the acknowledgement that there was an Early Mesolithic (9500–8000 BC) settlement of the country. However, Nummedal’s lack of archaeological education worked against him when he tried to date the many flint sites he found later on, and well-established researchers found his theories about Stone Age settlements unconvincing. He was regarded as an unskilled teacher who did not know the first thing about archaeological methods and terminology. Today, Nummedal is considered to be one of the most influential participants in Norwegian Stone Age research, and his discoveries are well known and widely recognized. This paper describes Nummedal’s fight to transform his reputation from ridiculed amateur to respected professional. The resistance he met when presenting his sensational theories is detailed through an extensive review of letters, newspaper articles and eulogies written by his colleagues. What has been recovered to date in Norway from the Stone Age belongs to the last period of the European Stone Age (Late Stone Age). The older-looking artefacts […] are far too few to make it plausible that the country was already inhabited during an earlier period of the Stone Age (Rygh 1885: 3). This quotation provides a glimpse of what was considered to be the most up-to-date knowledge in 1885, of the earliest colonization of Norway. The cultural development of this northern country was seen as inferior when compared to the rich Stone Age cultures that evolved in Southern Scandinavia and Northern Europe. 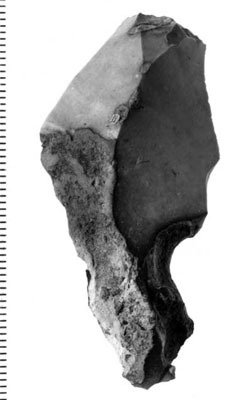 The early Nordic Stone Age cultures in the neighbouring country of Denmark were characterized by the rich Ertebølle kitchen middens (kjøkkenmøddinger), which along with an abundance of mollusc, and faunal remains and bone tools, were distinguished by flake axes and core axes made from flint. An even earlier stage was represented by the Maglemose site – which was characterized by bone tools, and additionally, by the use of flint microliths. The lack of these types of sites and artefacts in Norway made it appear as if people did not move north until the late phase of the Stone Age. However, among the ‘older-looking artefacts’ described by archaeologist Oluf Rygh1 in 1885 were several flake axes. These were discussed, in chronological terms, for the first time by the geologists Andreas Hansen2 (1904) and Waldemar Brøgger3 (1905). They pointed to discoveries of prehistoric sites situated well above present sea-levels which suggested there had been a strong post-glacial rebound in the Oslo Fjord region. The flake axes at issue were retrieved from sites located at high elevations, which potentially made them very old. Chronological and typological correlations between these southern Norwegian ‘flint sites’ and Danish kitchen middens were established by both Hansen and Brøgger, but while Hansen (1904: 339) wanted to date them to early post-glacial times, Brøgger (1905: 65) found it more appropriate to date the sites to a late phase of the Early Nordic Stone Age. Either way, their conclusions suggested that people could have lived in Norway at an earlier stage than was previously acknowledged. A few years later, Anders Nummedal (1867–1944), a school-teacher who had studied geology and had a passion for archaeology, brought new perspectives to the debate about the first colonization of Norway. His interest in geological and cultural processes during the early stages of Norwegian prehistory motivated him to take walks along the elevated beach ridges on the island of Kristiansund (see Figure 1) in Central Norway. In 1909 he found two pieces of flint that had, possibly, been worked by prehistoric humans. The artefacts themselves were quite ordinary and chronologically insignificant, but for Nummedal they were the key to finding traces of the earliest settlements along the Norwegian coast. Map of Norway displaying place names mentioned in the text: by the authors. This paper describes the main issues surrounding the controversies that Nummedal and his discoveries provoked in the early twentieth century. Through an extensive review of various written sources we discuss why it was problematic for established academics to accept the theories of someone who would later be one of Norway’s most famous Stone Age archaeologists. Nummedal’s first foray into the field of archaeology began with two pieces of flint (see Figure 2) that initiated a lengthy correspondence between him and the director of the regional archaeological authority, Karl Rygh4. Nummedal included the stone artefacts in a letter and asked, eagerly, if they were made by humans. One of the first flint artefacts found by Anders Nummedal near Vollvatnet Lake in Kristiansund. Photo: NTNU University Museum. Last Wednesday I decided to look for flint on Kirklandet in Kristiansund. I sought out all the places where I knew the soil was exposed due to digging or ploughing. The result surprised me: On every place I visited I found flint clearly worked by humans. Later surveys on Kirklandet and Nordlandet have given the same result. I now know of 15 flint sites in and around the town of Kristiansund (Nummedal 1910a: 1; authors’ translation). These kinds of systematic surveys had never been conducted before, and the quantity of Stone Age sites that were found on this small island clearly exceeded Nummedal’s expectations. Because these Central Norwegian Stone Age sites seemed to share many common characteristics, he described them using the collective term ‘Fosna Culture’ after a farm in Kristiansund (Pettersen 1998: 12) from which many artefacts were retrieved. This goes far beyond my field of competence, and hence I can hardly undertake such an excavation. I would be most willing to, however, if the museum cannot find a man for the task at this time of year (Nummedal 1910a: 1–2; authors’ translation). Throughout the winter and during the spring I received several assemblages followed by contextual information […] However, when one very promising site, namely the one situated on the property of the farm ‘Christies Minde’, was scheduled to be turned into a potato field, I agreed to give Mr. Nummedal – whose carefully and precisely performed investigations and observations I had certainly witnessed – the opportunity to conduct an excavation within a limited area (Rygh 1911: 37; authors’ translation). Before long, Rygh trusted Nummedal to conduct full excavations of the Stone Age settlement sites he had found. Rygh, who was 70 at the time, was limited in his ability to investigate all the new localities that appeared in the region, and from the start, he appreciated Nummedal’s intelligence and enthusiasm. Nummedal proved to be a methodical and systematic field archaeologist, and consulted regularly with Rygh while the investigations were underway. Detailed descriptions, photos and sketches followed with the artefacts from the excavated site (see Figure 3). 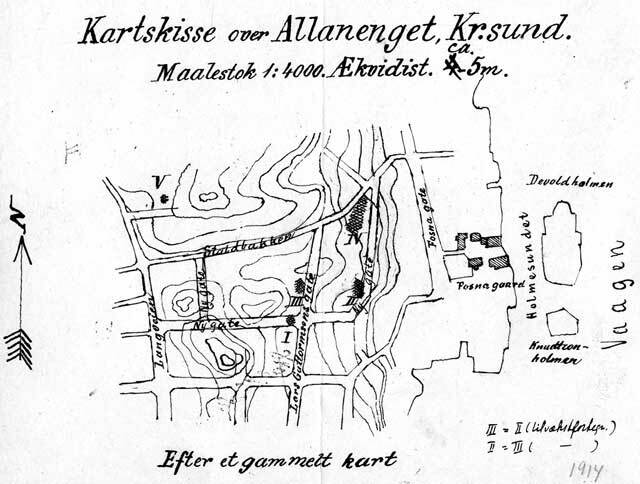 A map sketch from Allanenget, Kristiansund, Norway: by Anders Nummedal (1914). Nummedal’s passion for archaeological fieldwork was clearly expressed in his correspondence with Karl Rygh. In one of his letters he admitted that: ‘I have spent, I would say, every single moment of my spare time for what I consider as absolutely necessary work that will benefit the museum of Trondheim’ (Nummedal 1914: 1). Several of Nummedal’s colleagues later described his dedication. Headmaster Olaf Yderstad5 said that the ‘pick, mattock and his own fingers were his tools on these tours that took place during the holidays […] No wonder his colleagues and students noticed his dirty fingernails in the following days’ (Yderstad 1989: 86–87). Halvor Rosendahl6 recalled that people thought he was a bit odd, digging outside in all kinds of weather (Rosendahl 1944: 90) (see Figure 4). Nummedal at an excavation in Frei, Kristiansund, Norway. Photo: NTNU University Museum. I’m afraid you are starting to find me annoying, but what I’m about to tell you is so significant that I’m sure you will appreciate hearing about it right away […] When I compare [the findings] with the plates in Professor Brøgger’s ‘Strandliniens beliggenhed under Stenalderen’7 I find that most of the axes undisputably must be regarded as flake axes (Nummedal 1910b: 1; authors’ translation). Nummedal’s excitement was based on the flake axe’s alleged connection to Early Stone Age sites in Scandinavia. Moreover, this tool type was formerly only known from the southern part of Norway. If Nummedal proved to be correct, it would be the oldest site discovered in Central Norway to date. The notification that you might have recovered flake axes doesn’t actually surprise me, as some of the artefacts from Brunsviken8 exhibit similar properties and may be regarded as badly shaped axes of this type (Rygh 1910a: 1; authors’ translation). The archaeological discipline is already highly developed, and it is easy to make mistakes when you are not experienced. There are many sides to it, which easily may be overlooked, and there are detractors (or at least one) who aren’t exactly friendly. Drawings may easily disappoint you when you are not accustomed to handling originals (Rygh 1910a: 1; authors’ translation). Lecturer Nummedal has again made a discovery from the Stone Age, and this time it is absolutely unique. He has, here on Kirkelandet [on Kristiansund], recovered quite a few flint tools from early Nordic Stone Age – axes, arrow-heads, blade scrapers etc. in great numbers, as well as several so-called ‘cores’. These artefacts are probably at least 5000 years old and suggest that Kristiansund not only was inhabited at this time, but also must have been home to a workshop where these kinds of tools were produced. Only about ten axes from this period, so-called ‘flake axes’, have been recovered from the whole country so far. Mr. Nummedal has now retrieved the same number from Kirkelandet alone. They correspond both in shape and material with the ones previously found in Italy and south Sweden. The artefacts will be thoroughly studied by professionals, and the collection will be shipped to the Museum of Trondheim, which is entitled to it by law. The finds are of extra interest since the raw material must have been transported from afar. Flint pebbles are almost absent in this region. Jæderen [Jæren] is the only place where these pebbles can be found in any numbers. Some of the artefacts are very skilfully crafted. It is almost impossible to comprehend how these prehistoric people, with their imperfect tools, could have made them. One must, for example, remember that they still didn’t have the ability to polish, but only chip the stone. Some of the arrow-heads, in particular, will arouse great admiration. It will be interesting to learn what the archaeologists make of these artefacts. Mr Nummedal’s achievements have greatly benefitted the archaeological science (Anon. 1910a: 1; authors’ translation). In the newspaper ‘Aftenposten’ on April 12th one can read about archaeological finds made by a certain Lecturer Nummedal in Kristiansund, which are supposed to include axes of flint, arrow-heads and end scrapers. It is pointed out that the axes are flake axes. Is this really possible, or is it just an amateur’s misconception of the technological terms? I kindly apologize for letting myself pose this question to you, but one can’t deny that, if these really proved to be artefacts from the Early Stone Age, it would be a discovery of quite exceptional proportions! What makes me doubtful is the fact that the finds were recovered in Kristiansund. Consequently the geological circumstances preclude dating the finds to the earliest period of the Stone Age (Brøgger 1910; in Mehlum 1995: 17; authors’ translation). Nummedal’s conclusions did not coincide with Brøgger’s opinions about deglaciation, isostatic rebound and Stone Age sites, which certainly were adopted from his father’s (W. C. Brøgger) work. … a sensational and colourful telegraphic notice about Stone Age artefacts from Kristiansund that were supposedly ‘5000 years old’. It shouldn’t be necessary to say that this dating is completely plucked out of thin air. Unfortunately, we haven’t reached the point where we can even roughly decide the absolute date on such finds (Anon. 1910b; in Mehlum 1995: 18; authors’ translation). One must protest against the growing tendency to decide the age of old artefacts in superficial newspaper articles. This only contributes to creating false ideas for uncritical readers, and discredits archaeology for authoritative audiences. It is certainly a task for the archaeological community to find a way to obtain an absolute age for these kinds of finds. But there is still a long way to go, and a lot of new material has to be recovered, many new links have to be forged in the chain of evidence in order to reach this goal (Anon. 1910b; in Mehlum 1995: 18; authors’ translation). The matter has been put in a more difficult position by the nationally distributed telegram. It has naturally attracted attention among our few archaeological scientists. […] I have already received a letter from an expert in Stone Age research, demanding details about the finds. He assumes that I have either inspected the site or received the artefacts by mail. They mustn’t be left to wonder about this matter: if the new artefacts really are from early Stone Age, the discovery is so significant that archaeologists rightfully would say that even the most meticulous observation can’t be considered good enough. This could have been avoided if the media wasn’t so eager to make a sensation of it (Rygh 1910b: 1–2; authors’ translation). Comments from members of the archaeological community demonstrated that they disapproved of Nummedal’s discoveries and interpretations for several reasons. Their main concerns were with his classification of the artefacts and his dating of the sites. Flake axes supposedly represented the earliest traces of humans in Norway and were typologically connected with Danish kitchen midden cultures. It was widely accepted within archaeological circles that the middens were contemporary with the ‘Tapes Time’ (i.e. Brøgger 1905: 22; with reference to Madsen et al. 1900) – a period after the last Ice Age in which the temperature was at its maximum, and when a transgression (i.e. a rise in sea levels resulting in deposition of marine strata over terrestrial strata) was recorded. As such the Scandinavian flake axes and other associated artefacts were also dated to the ‘Tapes Time’. According to W. C. Brøgger (1905: 64, 277), the kitchen midden phase, and the use of flake axes in southeast Norway, had ended before the Tapes transgression reached its maximum at about 7000 years ago. Hansen (1904: 345) found it likely that the same sites belonged somewhere in the range of 6000–8000 years ago. As such, Nummedal’s estimate of ‘at least 5000 years’ was not controversial per se. 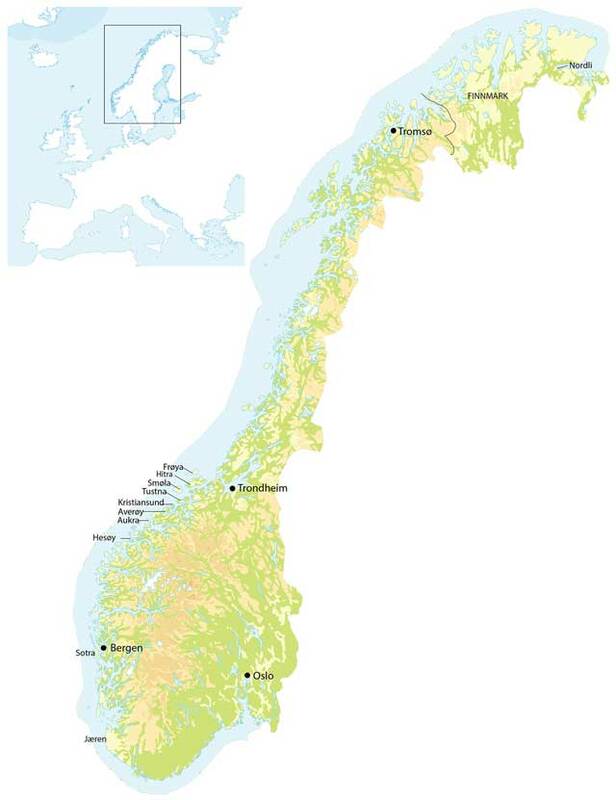 However, in Norway the axes were mainly recovered around the Oslo Fjord in southeast Norway – a region that geographically could be linked to southern Sweden and Denmark, but was still regarded as the absolute periphery of any centre of Scandinavian prehistoric culture. Moreover, geological studies suggested that much of Norway was covered in ice while Stone Age civilizations developed on the Continent, and thus this environment would place a limit on human migration. If flake axes had actually been found as far north as Kristiansund, one would need to reconsider all these arguments. We can sense that the negative reactions from the professionals were largely based on the fact that the new theories came from an amateur. Prehistoric archaeological research was in its early stages of development and was seeking to establish itself as a distinct and important discipline within the humanities. Thus it was important for only ‘proper’ archaeologists to deliver new theories about prehistory. When the newspapers printed the apparently irrational theories of a school-teacher the collective anger of the new archaeological research community was ignited. But despite some obvious attempts to staunch the debate, Nummedal would not be silenced, and continued to develop and promulgate his theories. On November 4, 1910, Nummedal published an article in the newspaper Romsdals Amtstidende with the provocative title: ‘Stone Age Settlements Around Kristiansund, Norway Inhabited During the Palaeolithic Period’. In it Nummedal suggested that the settlements he had found might date from an even earlier period than what he had previously believed (Nummedal 1910c: 3). In a letter addressed to Rygh Nummedal explained that he formed his theory while reading French Archaeologist, Joseph Déchelette’s book: Le Manuel d‘archéologie préhistorique, celtique et gallo-romaine (Déchelette 1908–1914). He had noticed that several of his own artefacts resembled the sketches of French Stone Age assemblages, which suggested that the Norwegian flints could be of Palaeolithic origin (Nummedal 1910d: 1–2). The fact that there are artefacts among such a large collection of flint that resemble types from the Central European Palaeolithic inventory doesn’t prove that the artefacts belong to this period […] Nothing in the assemblage can be expected to predate the Neolithic period (Rygh 1910c: 3–4; authors’ translation). It must be emphasized that prehistoric chronological terms were not used in the same way as they are today. In nineteenth century archaeological literature, the European Stone Age was regularly divided into two phases: the Palaeolithic and Neolithic. The intermediate Mesolithic phase was not included as a concept. Moreover, Palaeolithic cultures were mainly associated with Continental hunter-gatherers – a lifestyle that was not identifiable in the artefact assemblages from Scandinavia. Rygh regarded Nummedal’s interpretation of the artefacts as a misconception, and argued for more proof to support such a statement. He pointed out that there were not even sites from this period in southern Scandinavia, for the good reason that the whole region was covered with ice (Rygh 1910c: 3–4). The more I study the flint assemblages, the more convinced I am that some of the artefacts must be older than the Tapes time. […] It can hardly be a coincidence that all these sites are situated between 30 and 40 m asl. Another factor that is common to all the sites are that the gravel, which is positioned under the turf, and in which the artefacts were deposited, most of all resembles beach gravel. These flint sites were thus certainly located on a beach at the time they were inhabited. There are also features in the terrain that support this idea. For example, near the Christies Minde site there would have been a sheltered harbour if the shore line was more than 30 m higher than today. However, if the shoreline was lower, the nearest landing would have been far away, as there is a long and steep cliff at this elevation. According to Rekstad, the Tapes level can be measured to 20 m asl. in Kristiansund. […] Hence, the sites have to be considerably older than the Tapes time, and in my opinion we would need substantial archaeological proof to come to another conclusion (Nummedal 1910e: 2–3; authors’ translation). This sober line of reasoning was more significant than it appears. Nummedal’s archaeological and geological investigations in Central Norway, which by this point were starting to arouse great interest among archaeologists, questionned the correlation between Norwegian flake axes and the Tapes Time – and consequently also the connections between Norwegian sites and Danish kitchen middens. Nummedal never succeeded in convincing Rygh of this – and in a short article two years before his death, Rygh (1913) maintained the connection between Norwegian prehistory and the Danish Ertebølle phase. However, Nummedal continued to work on these ideas and perhaps realized that the best way to convince others was by conducting systematic surveys. We can follow Nummedal’s meanderings across prehistoric terrain in the archives of the Trondheim Museum at the Norwegian University of Science and Technology (NTNU). He was most active between 1910 and 1913, when he mapped numerous locations in Kristiansund. Other islands in central Norway were also subjected to Nummedal’s surveys, including Aukra, Averøy, Tustna, Smøla, Frøya and Hitra, along with coastal districts farther north (DKNVS Skrifter 1911–1925). He was also invited by the authorities of the Bergen Museum to conduct similar investigations along the coast further south on the islands Hesøy and Sotra (Nummedal 1918; 1921). From correspondence it is evident that the authorities in Trondheim, Bergen and Oslo tried to find finance for Nummedal’s work, and eventually A. W. Brøgger succeeded in recruiting him on a permanent basis. In the autumn of 1921 the Norwegian Parliament allocated money for a curator’s position at the Archaeological Museum of Oslo, which Nummedal accepted (Pettersen 1998: 14). From this institutional position Nummedal carried out several investigations and published short, but descriptive papers on his work. In his syntheses from 1922 and 1923 we see more nuanced interpretations of the fieldwork he had conducted during the previous ten to fifteen years. His main concern was the age of the earliest Stone Age sites. Through a critical review of the artefacts’ morphology (i.e. their shapes and forms) he maintained that the tool assemblages from Norway had different properties to those of the Danish tool assemblages found in kitchen middens. The Norwegian tool assemblages, he argued, had more in common with those of the older Danish Maglemose types of stone tools. The Norwegian artefact collection, he claimed, also contained late Palaeolithic shapes that had not been found elsewhere in Scandinavia. Moreover, his systematic investigations of elevated shell deposits and moraines along the coast of Central Norway suggested that the mollusc assemblages had a climatic signature that equalled the cold period, and that the coast was thus exposed at an early stage of the post-glacial period. Consequently, geological circumstances did not contradict an older date for the sites (Nummedal 1922, 1923). His arguments expressed for the first time in a long newspaper article (Nummedal 1912) were now largely supported by significant archaeologists such as Haakon Shetelig12 (1922) and Petersen (1922). Nummedal’s confidence was put to the test in 1925. 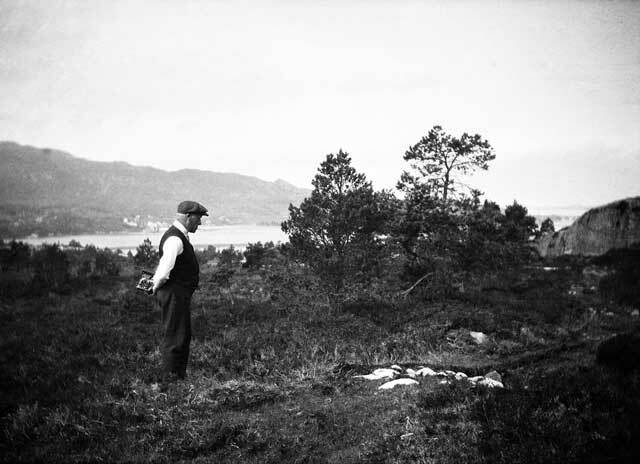 Encouraged by A. W. Brøgger, who was still reluctant to accept his dating estimates (Brøgger 1925), and with a scholarship from the University of Oslo, Nummedal began to search for Stone Age sites in Finnmark, in the northernmost part of Norway. This idea was not without its critics: if it seemed inconceivable that a Nordic settlement could have existed parallel with some of the oldest cultures on the European Continent, it must have seemed even less likely that there were settlements in the northernmost parts of Norway at the same time. The very few Stone Age sites that had been found in northern Norway were first, and foremost, characterized by polished slate instruments. Dominant and accepted archaeological opinion maintained that while the southern Norwegian flake axes and flint sites were cultural extensions that had come from the south, the ‘slate culture’ in northern Norway had developed through contact with eastern Scandinavian and Baltic Stone Age cultures. The slate complex, called the Arctic Stone Age or Arctic-Baltic Stone Age, was thus regarded as a younger cultural entity that could be distinguished from its southern equivalents (i.e. Brøgger 1906, 1909; Gjessing 1920; Petersen 1920). Moreover, there seemed to be a complex history of sea level and ice cover fluctuations in this region after the Ice Age, making the preconditions for an earlier settlement highly uncertain. Nevertheless, Nummedal wanted to test his survey methods in a different landscape. Maybe his late participation in institutional archaeology gave him an advantage in this matter: he did not have the mainstream researcher’s mental preconceptions that might have prevented him from thinking beyond the subject’s stalled dogma – he looked where nobody dared to look. Gutorm Gjessing13 (1944) later described it as a ‘battle between the enthusiastic autodidact and sober, dogmatic knowledge (Østmo 1994: 38). And it was said that only two hours after his arrival in northern Norway, Nummedal had tracked down the first of many early Stone Age sites in the region (Simonsen 1994). The artefact collections from these new sites seemed to resemble tools that had been found in the early sites in southern Norway, but they also contained additional and different tool types and other raw materials. These finds now launched a new debate, which this time primarily took place within academic circles but also involved a larger community of scientists. In Nummedal’s field notes from 1925 and 1926 (published in 1975) he suggested that the northern Norwegian complex of sites and artefacts could be associated with an early phase of the Palaeolithic, known as the Aurignacien, and which, according to Oscar Montelius’ (1919) chronological divisions, was more than 15,000 years old (Nummedal 1975). Also, in successive publications Nummedal emphasized the technological parallels between the artefacts from these northernmost sites and those from Palaeolithic settlements on the Continent (Nummedal 1927, 1929a, 1929b; Nummedal and Rosendahl 1929). 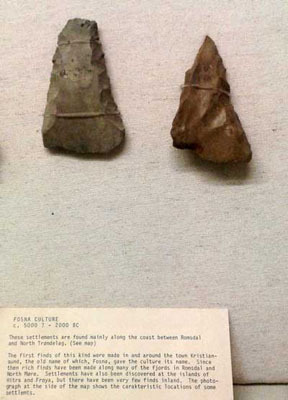 This suggestion could hardly be incorporated into existing theories, which were based on the idea that culture and stone tool technology had spread from the south to the north (Waraas 2001). 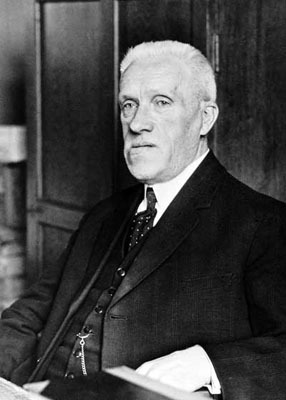 In a lecture for his doctoral thesis in 1931, Johannes Bøe14, an archaeologist who early in his career had studied Iron Age artefacts, largely supported Nummedal’s dating estimate. These geographical and chronological connections were also acknowledged by several European archaeologists, who had themselves examined the newly recovered artefacts from northern Norway (Bøe 1931). An extensive book about the sites, Le Finnmarkien, Les Origines De La Civilisation Dans L’Extreme-Nord De L’Europe, was published in 1936 (Bøe and Nummedal 1936). Primarily written by Bøe, whose courageous interpretations created the basis for discussions about cultural development and immigration routes (Indrelid 1994; Simonsen 1994; Blankholm 2008) it was also written in French, which meant that archaeologists outside of Scandinavia were able to participate in the debate (Waraas 2001: 28–29). One year after its publication A. W. Brøgger proudly and enthusiastically promoted the Le Finnmarkien’s conclusions, and praised Nummedal and Bøe’s work, to an international audience (Brøgger 1937). Before Nummedal’s surveys, the earliest prehistory of northern Norway was unknown, a chapter in prehistory to be written, and perhaps, because of the persistent notion about a distinguishing Arctic Stone Age culture, it made it easier to interpret the material culture from northern Norway as being something different to the material culture of the south. Brøgger wrote: ‘in all probability these [tranchets] in Finnmark are ‘self-grown’ and, in any case, they have no connection with the so-called ‘Skivespalten’ [flake axe] in the Danish kitchen middens’ (Brøgger 1937: 57). Today it is commonly assumed that these earliest of sites, from the north and the south, are part of the same cultural complex (i.e. Woodman 1993; Olsen 1994; Blankholm 2004). Nummedal conducted his surveys in northern Norway every season until 1939. These were some of his last efforts as a field archaeologist (Simonsen 1994: 46). Archaeologist Povl Simonsen15 recalls a specific episode that took place during the investigations: ‘obviously Gjessing had heard much about his excavations and wanted to learn more about them […] When a letter arrived from Gjessing, expressing the desire to join in, Nummedal became very angry and sensed some kind of control from the Museum of Tromsø’. Despite Nummedal’s rejection, Gjessing came and participated in the excavation. ‘Nummedal was grumpy. They were working together a couple of days at Nordli, frictions between them occurred daily, and the hot-tempered Nummedal once came very close to attacking Gjessing physically’ (Simonsen 1994: 47). The large collection of letters written by Nummedal provides us with a good sense of his personality: he was easily provoked, impulsive and assertive – to a certain degree aggressive and touchy. These properties worked both for and against him in his struggle for approval. Gjessing, who became a trusted colleague, writes that Nummedal had an unyielding belief that he was a tool in the hands of a superior being, that it was his fate to discover Norway’s prehistoric settlements. Consequently he demanded immediate approval from his colleagues. This was rather unpopular among his more pragmatic fellow researchers who regarded him as arrogant and full of ‘prima donna whims’ (Gjessing 1944: 570). Despite this, when he died in 1944 he had finally earned his place beside other recognized archaeologists. When a great man dies it is said that the dense forest becomes sparse. Nummedal didn’t belong in the forest at all. He was more like a wind-blown and lopsided pine standing solitary on a knoll. But that did not make him less prominent. And his labours did not die with him. His results will linger for a long time and remind us of one of the most distinctive archaeologists we have known (Gjessing 1944: 572; authors’ translation). Nummedal had the features that characterize the noble man, and that have always been highly valued in Norway. He was of pure Norwegian origin and had a good portion of the Norwegian informal behaviour […] The white hair covered a pure Nordic skull, the blue eyes had a beautiful and friendly touch (Rosendahl 1944: 95; authors’ translation). Most of all he was a pioneer in the field, who during the winter was most comfortable in his office surrounded by his flint artefacts whose classification and systematic registration took much of his time […] A visit to his office was an experience, and even the most sceptical individual left with an deep impression that something new and remarkable happened in this room (Petersen 1944: 61; authors’ translation). Anders Nummedal in his office. Photo: Sogn og Fjordane County Archive. Anders Nummedal resembled a Stone Age man who walked with heavy steps. His body and head looked like a roughly sculptured statue of stone. Underneath his stout forehead his eyes had the sharp gaze of a hunter. His face, usually in grave, brooding wrinkles, would brighten when he laughed his characteristic and loud laugh (Yderstad 1989: 91; authors’ translation). The big bony face with a broad chin was as if it had been chiselled out of stone, and together with his peculiar appearance – a somewhat heavy trunk with long arms and big fists, short and crooked legs – made him look like he was walking around and rediscovering the settlements that he himself had inhabited in an earlier life, thousands of years ago (Gjessing 1951: 435; authors’ translation). Anders Nummedal received several ‘Medals of Honour’ for his archaeological efforts (Møllenhus 1977b). From our perspective today we can admire his work, which in many ways is still relevant. He was the first to integrate landscape perception into archaeological method and theory. Using his geological experience he recognized several topographical features related to the sites that he interpreted as cultural preferences: the settlements were located close to the current water margin and good natural harbours, in open terrain but protected from the prevailing winds. Following this set of presumptions as settlement preconditions, he used them to search systematically for new archaeological sites. Thanks to continued surveys during the last decades we now know hundreds of sites from the post-glacial colonization phase in Norway (Breivik In prep. ), and the characters of these sites generally seem to be in line with Nummedal’s ideas (i.e. Odner 1964; Møllenhus 1977a; Schanche 1988; Bjerck 1989, 1990; Bergsvik 1991, 1995; Bang-Andersen 1996; Barlindhaug 1996; Svendsen 2007; Johannessen 2009; Westli 2009; Nyland 2012). Moreover, Nummedal’s investigations of the relationship between marine deposits and flint sites revealed that early Stone Age settlements along parts of the coast would have been greatly affected by the ‘Tapes’ transgression (Nummedal 1923, 1933). This is important for our understanding of the distribution pattern of sites nationally, and consequently for our success in the search for new sites (i.e. Bjerck 1986, 1995; Sandmo 1986). Better dating methods, and intensified research on geological circumstances after the last Ice Age, have improved our ability to determine the age of the earliest sites. We now argue that flake axes and associated tool types are older than the Danish kitchen middens and belong to the Early Mesolithic chronozone, ca. 9500–8000 BC. A relation between Late Palaeolithic tool assemblages and the Norwegian Early Mesolithic techno-complex is commonly acknowledged (i.e. Fuglestvedt 1999; Kutschera 1999; Waraas 2001). But as some kind of lingering, silent opposition to Nummedal’s dating efforts, the plaques in the prehistoric exhibition of NTNU University Museum in Trondheim, designed in 1930 and revised in 1956, still read: ‘Fosna Culture, ca.5000? – 2000 BC’ (see Figure 6). The plaque in the NTNU University Museum in Trondheim still reads: ‘Fosna Culture, ca. 5000? – 2000 BC’, as some kind of silent opposition to Nummedal’s dating efforts. Photo: Heidi M. Breivik. 1Oluf Rygh (1833–1899) archaeologist, philologist and historian, first professor af archaeology at Royal Frederick University and director of the Museum of Cultural History. 2Andreas Martin Hansen (1857–1899) geologist and ethnographer, associate professor, University Library, Oslo. 3Waldemar Christopher Brøgger (1851–1940) geologist and rector of the University of Oslo from 1906 until 1911. 4Karl Rygh (1839–1915) brother of Oluf Rygh, archaeologist and director of the Museum of Trondheim from 1870–1915 (now the Norwegian University of Science and Technology Museum, Trondheim: NTNU). 5Olaf Yderstad (1877–1962) headmaster of Kristiansund Public School, who also worked for Kristiansund Museum (now Nordmore Museum) for more than fifty years. 6Halvor Rosendahl (1819–1896) geologist and natural historian, Geological Museum of Oslo. 7Brøgger, W. C. 1905Standliniens beliggenhed under stenalderen I det sydøstlige Norge (The Sea-Level’s Location during the Stone Age). 8One of Nummedal’s sites on Kristiansund. 9Anton Wilhelm Brøgger (1884–1951) son of W. C. Brøgger, archaeologist and director of archaeological collections at the Museum of Cultural History, Oslo. 10Theodor Petersen (1875–1952) archaeologist and director of the Museum of Trondheim after Karl Rygh’s death in 1915. 11Oscar Montelius (1843–1921) Swedish archaeologist who refined the concept of seriation, a relative chronological method. 12Haakon Shetelig (1877–1955) professor of archaeology and manager of the Department of Archaeology at the Bergen Museum, 1902–1942. 13Gutorm Gjessing (1906–1979) archaeologist at the Museum of Cultural History, Oslo 1940–1946. 14Johannes (Johs.) Bøe archaeologist at the Bergen Museum and the University of Bergen 1921–1961. 15Povl Simonsen (1922–2003) archaeologist at the Tromsø Museum 1951–1992. This article is based on our Norwegian paper: Ellingsen and Breivik 2012. Many thanks to the two anonymous reviewers for useful comments and suggestions on how to improve the text. Bang-Andersen, S (1996). The Colonization of Southwest Norway. An Ecological Approach. Acta Archaeologica Lundensia 8(24): 219–234. Barlindhaug, S (1996). Hvor skal vi bygge og hvor skal vi bo? En analyse av lokaliseringsfaktorer i tidlig steinalder i Troms. M.A. Thesis. Norway: University of Tromsø. Bergsvik, K A (1991). Ervervs- og bosetningsmønstre på kysten av Nordhordland i steinalder, belyst ved funn fra Fosnstraumen. M.A. Thesis. Norway: University of Bergen. Bergsvik, K A (1995). Bosetningsmønstre på kysten av Nord-hordland i steinalder. En geografisk analyse. Arkeologiske skrifter 8: 111–130. Bjerck, H B (1989). Forskningsstyrt kulturminneforvaltning på Vega, Nordland. En studie av steinaldermenneskenes boplassmønstre og arkeologiske letemetoder. Trondheim: NTNU University Museum. Bjerck, H B (1990). Mesolithic Site Types and Settlement Patterns at Vega, Northern Norway. Acta Archaeologica 60: 1–32. Bjerck, H B (1995). The North Sea Continent and the Pioneer Settlement of Norway In: Fischer, A. ed. Man and Sea In the Mesolithic. Oxford: Oxbow Books, pp. 131–143. Blankholm, H P (2008). Målsnes 1. An Early Post-glacial Coastal Site in Northern Norway. Oxford: Oxbow Books. Bøe, J (1931). Den tidlige steinalders kultur i Finnmark: belyst ved senere års undersøkelser og fund. Nordisk tidskrift för vetenskap, konst och industri 7: 417–436. Bøe, J and Nummedal, A J (1936). Le Finnmarkien. Les Origines De La Civilisation Dans L’Extreme-Nord De L’Europe. Oslo: Aschehoug & Co..
Breivik, H M (). Palaeo-oceanographic Development and Human Adaptive Strategies in the Pleistocene–Holocene Transition: A Study from the Norwegian Coast. (In prep.). Brøgger, A W (1906). Studier over Norges stenalder I. Øxer uden skafthul fra yngre stenalder fundne i det sydøstlige Norge. Christiania: I kommission hos Jacob Dybwad. Brøgger, A W (1909). Den arktiske stenalder i Norge. Christiania: I kommission hos Jacob Dybwad. Brøgger, A W (1910). A. W. Brøgger Questions K. Rygh about A. Nummedal’s Credibility. Trondheim: NTNU University Museum. (Letter dated April 14, 1910). Brøgger, A W (1925). Det norske folk i oldtiden. Oslo: Aschehoug & Co..
Brøgger, A W (1937). Late Palaeolithic Man in Northernmost Norway In: MacCurdy, G. G. ed. Early Man: As Depicted By Leading Authorities at the International Symposium, the Academy of Natural Sciences Philadelphia, March 1937. London: J. B. Lippincott Company. Brøgger, W C (1905). Strandliniens beliggenhed under stenalderen i det sydøstlige Norge. Chistiania: I kommisjon hos H. Aschehoug & Co..
Déchelette, J (1908–1914). Le Manuel d‘archéologie préhistorique, celtique et gallo-romaine. Paris: Librairie Alphonse Picard et Fils. Ellingsen, E G and Breivik, H M (2012). Anders Nummedal: fra ‘quasi-lærd’ til steinaldernerd. Primitive tider 14: 47–58. Fuglestvedt, I (1999). The Early Mesolithic Site at Stunner, Southeast Norway: A Discussion of Late Upper Palaeolithic/Early Mesolithic Chronology and Cultural Relations in Scandinavia In: Boaz, J. ed. The Mesolithic of Central Scandinavia. Universitetets oldsaksamlings skrifter, ny rekke. Oslo: Universitets oldsaksamling, 22pp. 189–202. Gjessing, G (1944). Konservator Anders Nummedal. Håløygminne 3(25): 567–572. Gjessing, G (1951). Konservator Anders Nummedal In: Hoprekstad, O. ed. Bygdabok for Vik i Sogn. Bergen: Nemndi, pp. 433–441. Gjessing, H (1920). Rogalands stenalder. Stavanger: Dreyers grafiske anstalt. Hansen, A M (1904). Landnåm i Norge: En Utsigt Over Bosætningens Historie. Kristiania: W.C. Fabritius & sønner. Indrelid, S (1994). Anders Nummedal og Bergens museum. Pridlao 3: 37–44. Johannessen, L (2009). Ahrensburgkulturens lokalitetsplassering: en redegjørelse av forholdet mellom kyst og innland. M.A. Thesis. Norway: University of Oslo. Kutschera, M (1999). Fuglestvedt, I., Gansum, T. and Opedal, A. eds. Vestnorsk tidligmesolitikum i et nordvesteuropeisk perspektiv. Et hus med mange rom. Vennebok til Bjørn Myhre på 60-årsdagen. Ams-Rapport, : 43–52. Bind A.
Madsen, A P et al. (1900). Affaldsdynger fra Stenalderen i Danmark, undersøgte for Nationalmuseet. Paris: Hachette. Mehlum, M H (1995). Historien om oppdagelsen av de første Fosnaboplassene i Kristiansund. Årbok for Nord-møre Museum, : 15–33. Montelius, O (1919). De mandelformiga flintverktygens ålder. Antikvarisk Tidskrift för Sverige 20(6): 1–60. Møllenhus, K R (1977a). Mesolitiske boplasser på Møre- og Trøndelagskysten. Trondheim: Det Kongelige Norske Videnskabers Selskap. Møllenhus, K R (1977b). Anders J. Nummedal. Det Kongelige Norske Videnskabers Selskab Skrifter, : 27–34. Nummedal, A (1910a). A. Nummedal Tells K. Rygh about the New Flint Sites He Stumbled Upon in Kristiansund. Trondheim: NTNU University Museum. (Letter dated March 28, 1910). Nummedal, A (1910b). A. Nummedal Tells K. Rygh about His Interpretations of the Newly Recovered Artifacts, Based on Literature Studies. Trondheim: NTNU University Museum. Letter dated April 11, 1910. Nummedal, A (1910d). A. Nummedal Outlines the Story Behind the Newspaper Article That Dates the Artifacts to Palaeolithic Times, Addressing to K. Rygh. Trondheim: NTNU University Museum. Letter dated November 11, 1910. Nummedal, A (1910e). A. Nummedal Presents an Elaborate Model for the Stone Age Settlement Preferences, Addressing to K. Rygh. Trondheim: NTNU University Museum. Letter dated October 25, 1910. Nummedal, A (1914). A. Nummedal’s Description of Newly Recovered and Investigated Sites in Kristiansund, Addressed to K. Rygh. Trondheim: NTNU University Museum. Letter dated April 27, 1914. Nummedal, A (1918). Arkæologiske undersøkelser paa Sotra. Bergen Museums Aarbok 1917–18. Historisk-antikvarisk række 4: 3–25. Nummedal, A (1921). Slinningen, en stenalderboplads paa Sunnmøre. Bergen Museums Aarbok 1920–21. Historisk-antikvarisk række 4: 3–15. Nummedal, A (1922). Den eldre steinalderen vår. Syn og segn 28: 241–259. Nummedal, A (1923). Om flintpladsene. Norsk geologisk tidsskrift VII(2): 89–141. Nummedal, A (1927). Stenaldersfundene i Alta. Norsk geologisk tidsskrift IX: 43–47. Nummedal, A (1929a). Noen stenredskaper fra Finnmark. Universitetets Oldsaksamlings skrifter 2: 17–34. Nummedal, A (1929b). Stone Age Finds in Finnmark. Instituttet for sammenlignende Kulturforskning, ser. B, Skrifter II: 17–34. Nummedal, A (1975). A. Nummedal: Finnmarks-fundene. (Published on the 50th Anniversary of the Discovery of the Komsa Culture). Acta Borealia, B. Humaniora 15: 11–24. Nummedal, A and Rosendahl, H (1929). Beretning om en reise i Østfinnmark. Norsk geologisk tidsskrift 10: 458–459. Nummedal, A J (1933). Kan det finnes flintplasser på kyststrekningen mellom Kristiansand og Ålesund?. Naturen, : 227–244. 1933. Nyland, A J (2012). Lokaliseringsanalyse av tidligmesolittiske pionerboplasser In: Glørstad, H. and Kvalø, F. eds. HAVVIND – Paleogeografi og arkeologi. Archaeological Report, Norwegian Maritime Museum. Oslo: Museum of Cultural History. Odner, K (1964). Erhverv og bosetning i Komsakulturen. Viking 28: 117–128. Olsen, B (1994). Bosetning og samfunn i Finnmarks forhistorie. Oslo: Universitetsforlaget. Østmo, E (1994). Anders Nummedal, oppdageren av vår eldste historie. Pridlao 3: 37–39. Petersen, Th . (1920). Meddelelser fra stenalderen i det norden-fjeldske Norge. Aarbøger for nordisk Oldkyndighed og Historie, : 18–35. Petersen, Th . (1922). Fra hvilken tid stammer de naturalistiske helleristninger?. Naturen 46: 88–108. Petersen, Th . (1944). Anders Nummedal. Det Kongelige Norske Videnskabers Selskab. Forhandlinger XVII(14): 55–61. Pettersen, K (1998). ‘Som om han bare var rundt og fant igjen buplassar han sjøl i et tidligere tilvære hadde brukt’. Anders Nummedal – en oppdagelsesreisende til fortida. SPOR 2: 12–15. Rosendahl, H (1944). Konservator Anders Nummedal. Minnetale i Norsk geologisk forening 23. Mars 1944. Norsk geologisk tidsskrift 24: 89–97. Rygh, K (1910a). K. Rygh Advises A. Nummedal about the Possible Flake Axes He Has Recovered. Trondheim: NTNU Gunnerus Library. (Letter dated April 12, 1910). Private Archive, no. 57. Rygh, K (1910b). K. Rygh Writes to A. Nummedal about the Discoveries Published in the Newspaper. Trondheim: NTNU Gunnerus Library. Letter dated April 17, 1910. Rygh, K (1911). Oversigt over Videnskabsselsabets Oldsagssamlings tilvekst i 1910 af sager ældre end reformationen. Det Kongelige Norske Videnskabers Selskab Skrifter, : 1–77. 1910. Rygh, K (1913). Flintpladsene paa Trøndelagens kyst. Oldtiden II: 1–9. Rygh, O (1885). Norske oldsager. Ordnede og forklarede. Christiania: Cammermeyer. Sandmo, A K (1986). Råstoff og redskap – mer enn teknisk hjelpemiddel: om symbolfunksjoner som et aspekt ved materiell kultur; skisse av etableringsforløpet i en nordeuropeisk kystsone 10.000–9.000 BP. Cand. Mag. Thesis. Norway: University of Tromsø. Schanche, K (1988). Mortensnes, en boplass i Varanger. En studie av samfunn og materiell kultur gjennom 10.000 år. Cand. Mag. Thesis. Norway: University of Tromsø. Shetelig, H (1922). Primitive tider i Norge: En oversigt over stenalderen. Bergen: John Griegs Forlag. Simonsen, P (1994). Anders Nummedal og Nord-Norge. Pridlao 3: 45–47. Svendsen, F (2007). Lokaliteter og landskap i tidlig mesolittisk tid. En geografisk analyse fra Nordvest-Norge. M.A. Thesis. Norway: University of Trondheim. Waraas, T A (2001). Vestlandet i tidleg Preboreal tid. Fosna, Ahrensburg eller vestnorsk tidligmesolitikum?. M.A. Thesis. Norway: University of Bergen. Westli, C (2009). Å slå seg ned: en regional analyse av tidligmesolittisk lokalisering med utgangspunkt i Østfold. M.A. Thesis. Norway: University of Oslo. Woodman, P (1993). The Komsa Culture. A Re-examination of Its Position in the Stone Age of Finnmark. Acta Archaeologica 63: 57–76. Yderstad, O (1989). Norske portretter: Anders Nummedal. Årbok for Nordmøre, : 85–93. 1989.